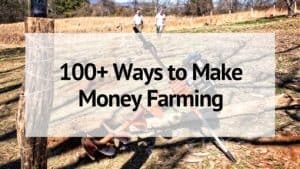 On our homestead, we like to raise as much of our own food as possible. The types of food we raise include dairy, eggs, vegetables, fruit, honey, chicken, pork, and grass fed beef. We also raise everything as naturally as possible. This means for our meat, we use a pasture based system for feeding them. Now, some animals require supplemental feed in addition to grass and forage. Other animals like beef cows, do not require any other food source. Grass fed and grass finished beef means that the cow has only eaten grass for its entire life. Some people will call their beef grass fed because the cow was fed grass for 90% of its life and then finish growing it out on grain. That’s why it is so important to know that the animal was grass finished as opposed to grain finished. Now, I know that grass doesn’t grow green and lush year round. You can extend your grazing season with proper rotation and pasture management. High quality organic hay, ChaffeHaye (non gmo chopped alfalfa fermented with molasses), and organic alfalfa pellets can be fed while the grass is dormant. You may be asking WHY should you raise grass fed beef? 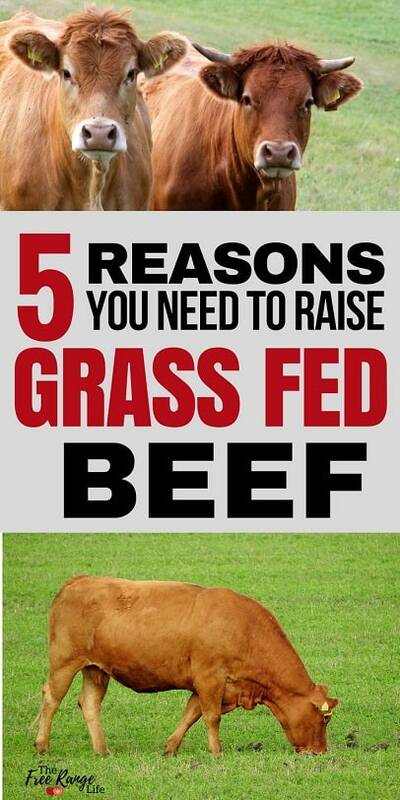 Here are 5 reasons why you should be raising grass fed beef on your homestead. By raising your own beef, you are completely in control of that food source. You know exactly what it eats, and doesn’t eat. You also know how the animal was treated and cared for. That it was raised humanely and not abused in any way. By raising your own beef, you also know if that animal has dealt with any health issues and how they have been been treated. You can choose to use natural remedies and herbs so that you don’t have to risk any of the residuals from chemicals and pharmaceuticals in your beef. We choose a 100% grass based diet and avoid GMO’s for our beef cows. When raising our own, we know that the cow has only had grass and forage without any grain supplement. Producing our own beef gives us the ability to have complete control over the beef we feed our family. This goes back to being in control of your food source. Raising your own grass fed beef allows you to ensure that you will have the highest quality meat possible. With grass fed beef, it’s very important to base proper butchering time off of body condition rather than a specific age. Cattle will grow at different rates depending on breed as well as genetics. Some cows are ready to butcher at 18 months while others take over 2 years. Be sure to watch the cow’s growth progress to be sure that they are completely filled out and rounded haunches with fat pockets on either side of the tail base. Also watch to see that the brisket area is filled out not just flappy skin. 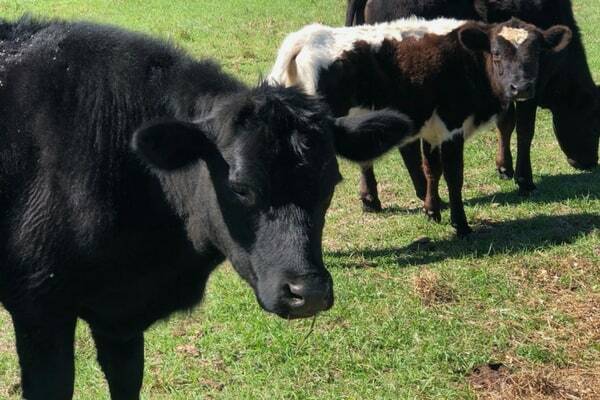 Do you want to add grass fed beef to your homestead? My Homestead Goal Planner can help you create a clear plan and achieve everything you set out to do on your homestead! This is a huge bonus! By raising 100% grass fed and grass finished beef, you definitely get more bang for your buck. 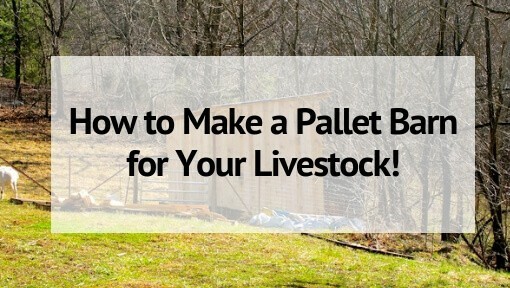 Your overhead costs will be much less than buying beef by the pound from a farmer or a grocery store. Depending on your situation, you may not even be paying for the cow itself. If you have a dairy cow to breed each year, you can keep any bull calves to raise for meat or sell any heifer calves and use the money to purchase a steer (and have money leftover to boot). The cost involved to finish raising grass fed beef should be minimal. When rotational, intensive grazing is properly managed, a cow can feed on grass alone for much of the year. When the grass is dormant, it will only need to be fed good quality hay and no grain. We use organic grass hay, peanut hay, and ChaffeHaye. When we’ve had a difficult time getting our hands on good hay, we have also used organic alfalfa pellets for feed. The investment is the cost of the cow, feeding it, and butchering it is split over all of the cuts of beef. 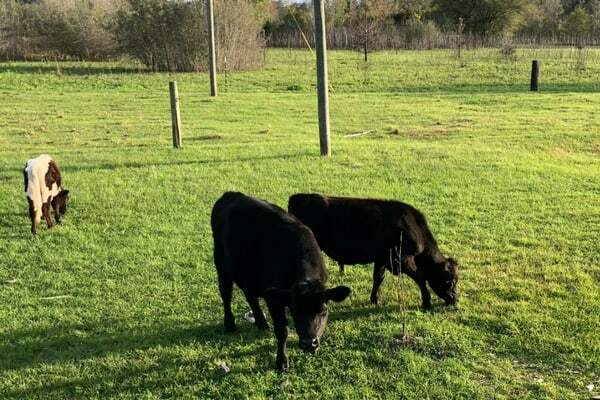 Plus the grass fed beef will be very high quality and have just a few dollars per pound in ground beef as well as ribeyes and filets. You can’t beat that! This one is such a huge deal for me. I never understood how being connected with my food would change my entire outlook on life. When you’ve poured your blood, sweat, and tears into an animal and that animal in turn provides your family with the highest quality beef you can get, you are immensely grateful. Knowing exactly what it took to bring a meal from my own field to my own table is something that not many people get to experience in life. Being that closely involved with your food creates such a connection that it’s hard to explain with words. The moment you sit down to a meal that has been raised by your family on your own property, you will be filled with so much satisfaction. Knowing that all of our time and work invested has paid off in such a huge way makes my heart smile. It’s also very satisfying to teach your children all of the important lessons learned through raising your own foods. This is something they will carry throughout their lives and pass onto their children as well. This post was written by Jenna Dooley of The Flip Flop Barnyard. Jenna is a busy wife and a mom to eight kids. 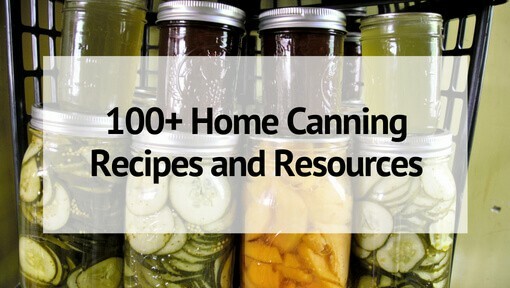 She’s a homesteader, homemaker, and homeschooler. She’s very passionate about organic gardening, and naturally raising livestock. 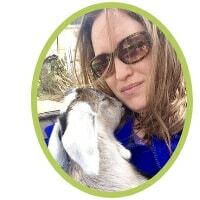 She is also the author of Pasture Raising Livestock: A Beginner’s Guide.